A new restaurant guide showcases the favorites, the famous and the fabulous dining spots throughout Western New York. A listing of entrees, desserts and drinks that Western New Yorkers love. Published by The Buffalo News, this full-color 82-page guide includes a user-friendly dining chart. Readers can discover at-a-glance restaurants that are considered "kid-friendly," establishments that have banquet facilities and businesses that offer entertainment. 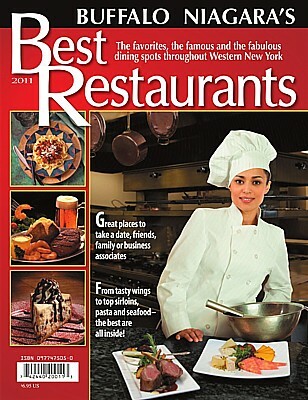 At $6.95, Buffalo Niagara's Best Restaurants: 2011 is the perfect gift for folks who love food.